If you are seeking valuable information regarding your career as a certified nursing assistant (CNA), visit our compilation of highly regarded websites that provide a wealth of resources for prospective students, career and job information for practicing CNAs and professional CNA and nursing organizations. NursingAssistants.Net provides educational articles, tips on exams and a wide variety of job-related information designed for working or prospective CNAs. As a non-profit website, this networking and discussion board is free and welcomes CNAs who want to share their experiences. NAHCA CareForce supports CNAs with advocacy that promotes legislation by congress to improve the long-term care environment for CNAs and their patients. Their mission is to improve the recognition and value of the CNA role in healthcare. National Network of Career Nursing Assistants provides networking, training resources and peer support for practicing CNAs and prospective students. This professional organization also provides information on certification reciprocity, advocates for CNAs and maintains a male CNA taskforce. The National Hospice and Palliative Care Organization provides information, education and support for CNAs who care for patients in end of life situations. The website also provides health employer profiles and information on job training in this specialized area of care. Prometric is a testing center that provides information on CNA testing protocols, changes in exam format and offers helpful practice tests. If you are preparing for the CNA exam, or have questions about the content, this helpful website may answer your questions. Just for Nursing Assistants is a website devoted to education and information for the student or practicing CNA. This website provides extensive information on the job description for a CNA and encourages networking with others on the site. Pearson VUE is the official testing center for the CNA theoretical and manual skills exam for numerous states across the country. Candidates can test their knowledge and review the performance test with the official guide to both parts of the examination. Quizlet is a website designed to test your ability to answer questions and pass your CNA competency exam. As an official site of Prometric, these practice questions, hints and tips can help you prepare for your CNA certification test. 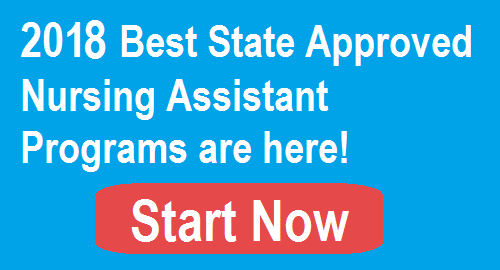 CNA Jobs.Net is a specialized search engine for CNA jobs in various cities and states. You can also search by company or healthcare facility profile. Health eCareers Network provides an extensive database of CNA jobs in hospitals, nursing homes and numerous other healthcare facilities. Your search requires your job title and location by city, state or zip code. Indeed assembles an array of nursing jobs in all areas of care by city, state or zip code. In addition, you may upload a resume and apply to CNA jobs that match your specifications online. This site also offers salary information by state and city. Career Builder compiles a wide collection of healthcare positions that may be searched by your state, location or via the healthcare company profiles. This resource also offers email alerts for new openings in areas of care and locations that may be your priority. Healthcare Monster is a dedicated section of the popular Monster.com and provides one of the largest job databases online and provides valuable information on resume building, interview techniques and networking with other healthcare professionals. The Good Samaritan Society provides an online search form for CNAs that are seeking positions in long-term care, home health or skilled nursing facilities. Submit your location and job title for open positions available in their numerous healthcare facilities across the country. ANANurseSpace provides a discussion board and forum for CNAs to network for job opportunities, share advice and provide insight on their experiences in nursing. You may be able to network with CNAs in your area of location. USAjobs.com offers a mix of government, state and city jobs available for CNAs and other healthcare providers. As an official government website, it also posts current healthcare information that is useful to both federal employees and private companies. OPM.Gov is the human resource website that provides the listing for government and federal jobs in healthcare. This website is an informative compilation of advice and tips for finding and applying for federal positions in healthcare. Veteran’s Affairs is a trusted source that lists nursing opportunities in governmental medical facilities that offer superior health benefits and salaries. The government seeks military and civilians who are qualified applicants to work in federally owned and operated hospitals, medical centers and nursing homes. Allnurses provides discussion boards and an open forum for questions by aspiring nursing assistant students and working CNAs. Various topics include renewing your certification, work requirements for your particular state and job opening announcements in a location near you. Nursing Assistant Resources on the Web is a professional blog maintained by three CNAs that offer and encourage the sharing career advice for CNAs, answer renewal and certification questions and a general discussion of information for nursing assistants. Nurse.com offers career advice for CNAs seeking information in furthering their education and seeking nursing education. You can also search a large database for jobs by specialty and location. National Student Nurse Association provides information for nursing students and CNAs who are preparing for a career in nursing. This website offers important information on programs, medical facilities that hire novice nurses and what to expect in your pursuit of a nursing education.